Business Value… ROI… TCO… Aren’t you getting a little burned out by hearing these acronyms again and again. Well, listen up! 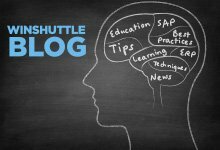 For the last year, Winshuttle’s usability marketing team has been digging deeply into how our customers are optimizing SAP business processes through extensive client interviews, surveys, data analysis and reporting. And we have now an extensive process that projects actual usage metrics based on empirical data – and we fondly call this process the “Winshuttle Usability Business Value Assessment” (UBVA). Very simply – the UBVA is a database of actual Winshuttle usage, metrics and associated savings for every single SAP transaction that they execute. Essentially it tracks the manual processing time of a traditional SAP GUI TCode (think “VA02”) and maintains a record of every single Winshuttle transaction (think “VA02 on steroids”). So over these last 12 months, we have collected 15 million – and growing – “SAP Records Processed” worth of data and now use this information to provide a projection of what potential clients could realize based on their own SAP transaction utilization (which we obtain via the ST03N report). So going forward I will be sharing with you over time via this blog, various findings from our UBVA work.